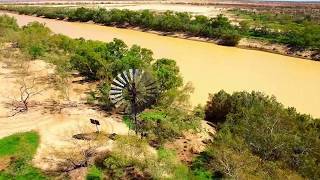 Queensland's Outback township of Winton Outback Festival will be celebrating it's 25th bienniel festival in 2019. Held during the September school holidays it's perfect for families or anyone who loves the Aussie Outback. The festival's hilarious signature event, the Quilton Australian Dunny Derby, will top off five days of quirky events, warm Outback hospitality and nightly live entertainment which lures visitors from all over Australia and overseas. 2019 will include some exciting new entertainment options, as well as some recent favourites such as the Charity Sunset Dinner Extravaganza under the Outback stars. Sports fans can test their skills with some gruelling sporting challenges including the Outback Century Cycle Challenge - the toughest, flattest cycling event in the Outback, and Outback Iron Man, Woman and Junior events. Great value tent city packages will be on sale closer to the event complete with comfy bed and an optional linen package......so all you need is your toothbrush! So mark this one in your diaries mates – 2019 Outback Festival in Winton to celebrate the twenty-fifth biennial festival- Tuesday 24 to Saturday 28 September, 2019.